Effective coaching is the difference between being capable and being successful. I have worked with dozens of ambitious clients who have all of the tools they need to achieve more, but are blocked by self-doubt and external negativity. My role as coach is to teach them to see themselves without the haze of outside criticism or unreasonable expectation. I show them what's possible when they remove the obstacles to success. It doesn't matter what the end game is. I've coached clients to successfully build 7 and 8-figure businesses, to curb the chaos in their lives so they can spend time with their families, and to build the focus and discipline needed to write best-selling books. All of these clients have something in common: They were able to realize their own potential by living a clear life vision with actionable goals, fully embracing their strengths and weaknesses. As football great Tom Landry once said, “A coach is someone who tells you what you don't want to hear, who has you see what you don't want to see, so you can be who you always knew you could be." That's what I want to do for you. Getting rich starts here. The Millionaire Maker Mentorship is for entrepreneurs who want more traction, more money, and more time. If you're struggling to build a level of wealth and success you know you deserve, this is where you need to be. Click below for the proven roadmap to increase your income and buy back your time. "I can turn that mental clutter into mental clarity, and that I was able to actually force multiply the speed [and progress]"
The Work-Life Mastery program is for any high-performer who wants to grow a successful business that generates massive amounts of free cash flow to support your DREAM lifestyle while also having a huge impact on the world and truly changing the lives of your clients for the better. All while maintaining the level of balance that keeps you present in the moments that matter most. "This workshop is truly for anybody that is really seeking clarity and time management throughout their days and clear direction with their goals." The ticket to wealth and freedom. Millionaire Maker Consulting is for entrepreneurs who are serious about explosive growth. This exclusive experience helps entrepreneurs, actors, athletes, and coaches rapidly change their business and their life. If you want the clarity, confidence, and proven roadmap to 10x your income, click below to learn more. 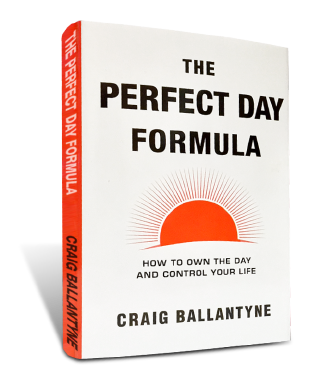 "Thank you so much for helping me re-organize my life with The Perfect Day Formula. You really helped me a lot to transform the way I think about my life and my day."